ASKfm - Asking question to someone. ASKfm is used by 215 million users worldwide. 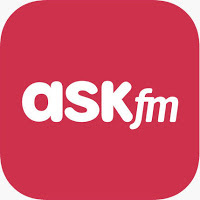 Ask.fm is a very different app, one of the popular and fun social networks. Because it is both fun and easy to ask and ask questions. You can ask your old girlfriend to hide who you are. Or you can ask as many questions as you like. Ask.fm allows you to ask questions that you cannot ask against your friends' face in a very comfortable way. We recommend using a fun app. • Ask any friend questions. • Follow to see all the questions they answer. • Add photos or animated GIFs to an answer. • View people who like your answers. • Ability to close anonymous questions. Read the warnings on this page carefully. Then enter your password in the password field. After entering your password, click the disable account button. Once you have deleted your Ask.fm account, you can cancel your deletion by logging in to your account. Ask.fm does not permanently delete your account after a certain time, such as Facebook or Twitter. You can continue to use Ask.fm by logging in to your account at any time. The link will take you to the deletion section of your account and you will be prompted to log in. After you login, the deletion area will open. Start the process after reading the instructions. Please read the instructions carefully before deleting your account. After deleting, your account may not be retrieved.